Ok welcome to lesson 2 it’s about positive and negative numbers and it’s an extra important lesson because so many students are weak in this area- adding real numbers. The concepts are not difficult however you need to go slow and practice problems until you can answer each one correctly with little effort. 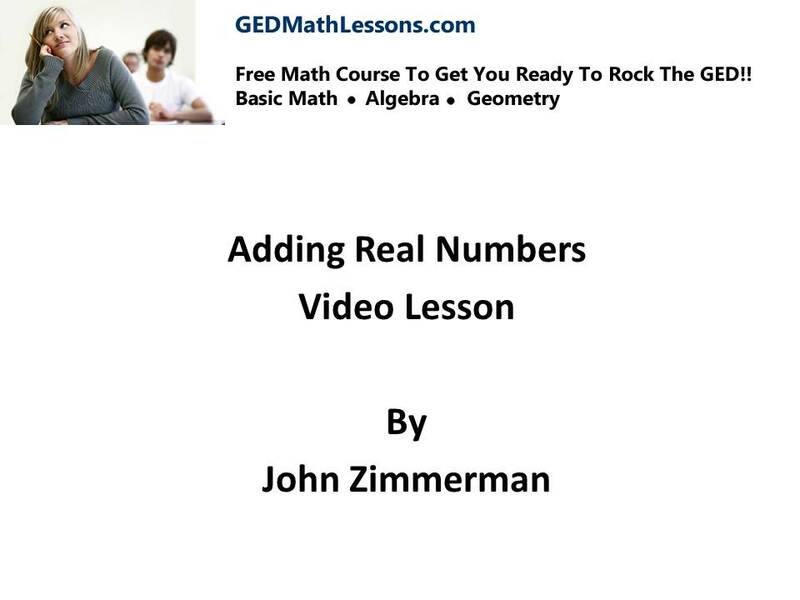 Also do not skip this section if you are struggling in it – do whatever it takes to master adding real numbers as you will need this skill to understand future material. if you think you can or can’t either way your right- thoughts become actions so watch negative thoughts they have destructive power! * add a positive and negative numbers.